Clean, safe, air-conditioned, soundproof, and fully equipped. That is what our practice rooms and recital hall at Asia Music School have to offer. If you are looking to rent a space, we have many options available across our music schools. If you need a space to practise or teach your student, our practice rooms are the perfect space for you. For larger group practices, rehearsals or performances, we also have a recital hall available for rent. For more information on rates and availability, please contact us. We know it can be hard to get a suitable venue for a small crowd. 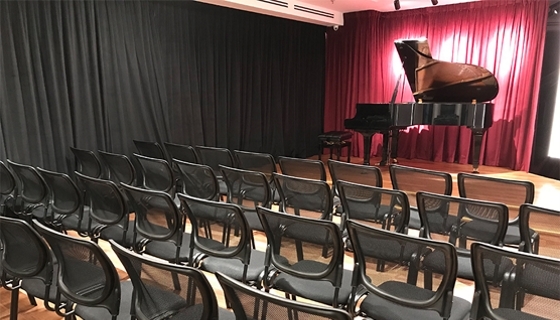 Our recital hall in our Parkway Parade branch is the perfect size for your group rehearsals, practices, performances, or even mini concerts. At 43 m2, it comfortably seats 50 people. It comes fully equipped with a performance stage, sound system, a grand piano, and seats. Our Exam Practice Room is a more spacious option for you. 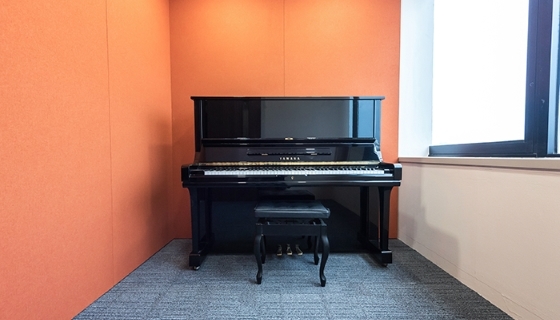 This is great if you prefer a larger space for your piano class or practice. Maybe you are teaching two students in one class. Or maybe you just simply like having a larger room to practise in. You can also choose your preferred piano — we have three options available. 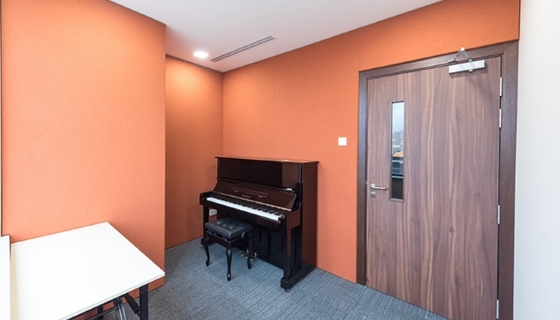 Our Basic Piano Practice Room is an affordable and great option for piano teachers and students. Every Basic Piano Practice Room comes equipped with a piano and piano chair. You can rent this room for your piano lessons or extra practices. Choose from our a la carte room rates or prepaid packages for a better deal! Actual room size may differ slightly from the estimated room size stated here, depending on the school location and room selected. All prepaid packages are valid for 6 months from the date of purchase. Strictly no extensions or refunds for any unused sessions. 50% confirmation deposit is required.